Recommended to the President we go west. Simple enough but there was little story, only bullet-points. In truth, I thought of them more as a punchline as used in the opening of the movie National Lampoon’s European Vacation (1985) in the ridiculous Pig in a Polk quiz show opening scene. 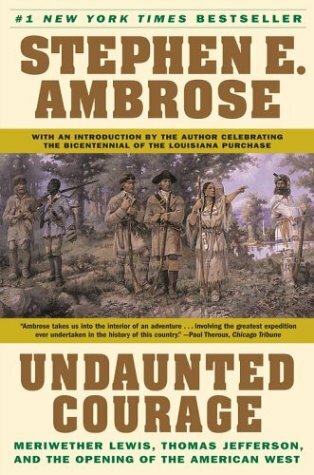 Ten years ago, I read Stephen Ambrose’s Undaunted Courage (Simon & Schuster, 1997), the epic narrative about the American explorers Merriweather Lewis and William Clark. I loved studying history and even minored in it in college, but I had never read any book that was written more as a story prior to this one. It was as if the Lewis and Clark’s almost mythological story finally made sense and I could get the accurate picture of these two explorers as if they were in a movie. I could visualize their adventure, share in their ambitions, trials, frustrations, hunger, fears, joy, and even sadness. History became alive to me in their story. Last month I read a BBC article titled What Adventures Are Actually Left?. It was about how we may be approaching the end of “discovery”. According to the article, genuine firsts are hard to find these days. The mountains have all been summited. With GPS, it is hard not to easily discover remote islands in the Pacific or visit Antarctica in the winter with modern technology. It seems as if the ocean and space are the last frontier and are largely undiscovered. While there less “firsts” for man to discover, the battle for discovery of the heart is at stake for each individual. It is the never-ending adventure of man. We as man are not meant to give up so easily because we are made to reach for the next thing. Discovery-adventure is needed to grow culturally and spiritually. Each person has their own reasons and they real what is true to their heart. Here is one of my favorite. Why did you want to climb Mount Everest?” This question was asked of George Leigh Mallory, who was with both expeditions toward the summit of the world’s highestmountain, in 1921 and 1922, and who is now in New York. He plans to go again in 1924, and he gave as the reason for persisting in these repeated attempts to reach the top, “Because it’s there. We may never know exactly what was at stake personally for Hillary but his tenacity to achieve such a feat shows that something deep within him was stirring. I can come up with excuses all day long about why I don’t have time for this adventure and how there is never enough money. My wife and I don’t want to live life with any regret. 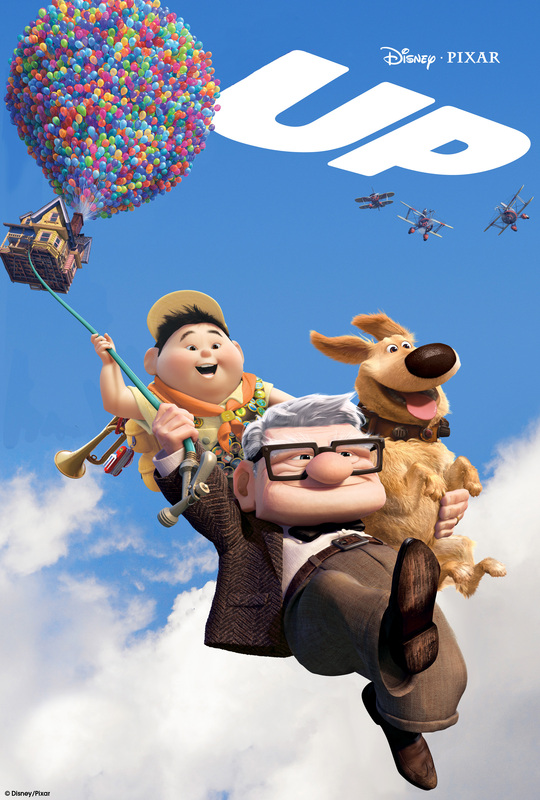 I think that is why the Pixar movie, Up (2009), resonated so much with me. You watch the main character as a boy growing up to become an old man in the movie. His life, much like yours or mine was not easy and complete with all sorts of unexpected twists. It shows that all we have in life are excuses unless we move our lives into the intentional mode. My wife and I have realized that if we don’t show our two daughters how to be adventurous, we will all get lost in life’s busy shuffle. Lewis and Clark, Mallory, and the movie Up, all remind me to not to just “do things” but to do them with a purpose bigger than me. Do them because it matters. Not just to cross it off like a simple bucket list but for the purpose of a story to tell that matters for the ages. After all, God knows what true adventure is and his adventure flows from his story in The Bible. Our real adventure is with Christ and without his purpose, all of this is meaningless, a mere earthly thrill. What is the adventure in your life? I’ll leave you with one of my favorite songs about adventure. My daughter’s faces were lit up when first hearing the song, Learn Me Right, by Mumford and Sons (featuring vocals by Birdy) in the movie, Brave (2012), It later became a sister song called Not With Haste in their new album, Babel, as well. I may even add it to My Funeral Mix. In Adventures, History	adventure, BBC Article Adventures, BBC News, birdy, bucket list, children's movies, Discvoery, G.K. Chesterton, George Mallory, history books, history narrative, kid movies, learn me right, Lewis & Clark, life lessons, Lost art of Adventures, meaningful bucket list, meaningful children's movies, mumford and sons, mumford and sons babel, narrative history, Pixar's Up, stephen ambrose, Undaunted Courage, Up movie, What Adventures Are Actually Left?, Why did you want to climb Mount Everest? Because it's there. What was your best day? This is a great question to ask at different points in your life to get a pulse on where your heart is. I have a firm belief that in order to discover your heart that God gave you, it is essential to look back at the moments, in this case a day, to understand what stirs you. For me, I remember driving through the Scottish Highlands with my good friend Steve Griffin and another South African friend. It was recommended that we go to the Isle of Skye in the west highlands. We weaved through long windy roads traversing historic and beautiful areas like breathtaking Glencoe, The Rob Roy Monument, and even the enchanting Eilean Donan castle. The day started by waking up in beautiful Portree, a small fishing village only to witness small boats heading out to sea with the sun rising above them. After a hearty Scottish breakfast of tea, eggs, and sausage, we drove and walked around the island. We drank water from the streams, walked along the coast, took pictures of the mountains, breathed in the beautiful air. Believe it or not, the Scottish Tourism Board isn’t paying me to write this as my sentiment is genuine. After we left the island and drove north, we all were in awe and marveled at what we just witnessed. I had heard about military jets buzzing some of these valleys and since I’ve always been a fan of British and American airpower, this would complete it. Our South African thought we were delirious Americans who only cared about weapons. We laughed of course and didn’t think anything of it because of the unlikelihood. Not five minutes later we heard a roar of a plane approaching us. I was in the passenger seat and could see it approaching us from behind us. 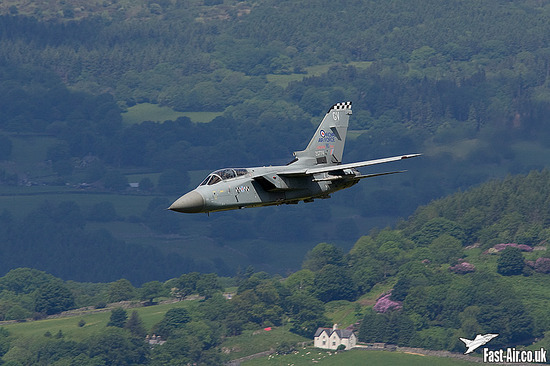 With half of our bodies out the window, Steve and I went crazy screaming and cheering as a Royal Air Force (RAF) Tornado buzzed our car at almost supersonic speed. That’s the sound of freedom, baby. I’ll never forget that day. 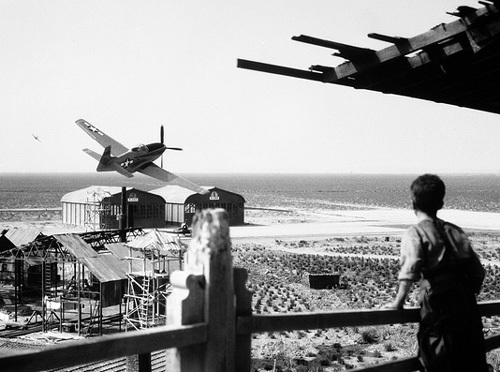 Our reaction to the RAF Tornado made me think of the awe and amazement of Christian Bale’s character, Jim, in the beautiful and tragic Steven Spielberg film, Empire of the Sun (1987) when he sees the P-51 Mustang buzz his concentration camp. Jim saw his “Cadillac of the Sky” as a sign that freedom is coming. I can imagine that it was Jim’s best day at that point in life, despite how hard things were. Why does a best day ever even matter? Since that day in Scotland, I’ve had several “best days” that have topped that one. I’ve been to the World Cup in Germany and seen amazing sights. I’ve also traveled around the Mediterranean to see Greek islands like Santorini. I think mostly about Brooke and I getting married and how beautiful she looked walking toward me at All Saints Chapel in Sewanee. I remember her smile, her grace, and beautiful blonde hair gracing her long flowing white dress all while walking along flowers. God was present that day, May 28, 2005, I know it. It was a “best day” indeed. These “best days” matter because they give us a glimpse of heaven. It is a swagger in the golf swing, a tip of the hat, a wink of the eye. It is God showing us the way things are supposed to be and what we also have to look forward to for eternity in Heaven if we put our trust in Christ. What is your best day? Recently my friend Nathan Martin shared with me an obituary article about the man John Fairfax. Fairfax lived an extraordinary yet insane life filled with adventures rowing boats across the Atlantic and Pacific oceans, being a pirate (yes a pirate), living in the Amazon, and playing professional baccarat like James Bond. 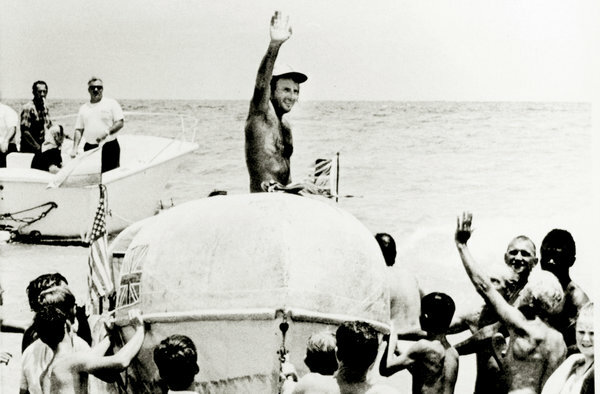 The article’s writer said it best, “He crossed the Atlantic because it was there, and the Pacific because it was also there.” Read his amazing obituary here. Fairfax seemed like quite a lost person but his sense of adventure and imagination is what inspires me most. If he were alive today, Mark Burnett or another reality show producer would be begging to follow and record his life. So why do these crazy things? Fairfax describes why in context of his rowing adventures. 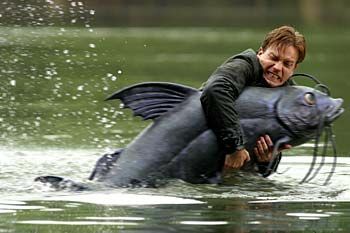 Fairfax reminds me of the movie Big Fish, one of my top 5 inspirational movies. It has so many lessons in it and the main character Edward Bloom is probably related somehow to John Fairfax. In telling the story of my father’s life, it’s impossible to separate fact from fiction, the man from the myth. The best I can do is to tell it the way he told me. It doesn’t always make sense and most of it never happened… but that’s what kind of story this is. It’s easy to dismiss a life like Edward Bloom’s in Big Fish. Edward learned early about his purpose. It occurred to me then, that perhaps the reason for my growth was I was intended for larger things. After all, a giant man can’t have an ordinary-sized life. The movie is a reminder that we are all meant for big things in God’s eyes. I want to be remembered for having taken risks and gone on great adventures like John Fairfax or Edward Bloom. Perhaps I yearn for these adventures with a little more purpose to them and do them in a way to help others. Maybe at the end of life, those irrational experiences will actually be my reality, which is in God’s hands. My practical challenge to you is to start with a bucket list and write out 100 amazing things you want to do/experience before you die. I did this when I was 20 and have been keeping track of it since. Go one step further to describe why you will do each item and what the achievement will mean to you and others. Have you ever imagined your funeral and what would be written in your obituary? What stories would they tell? I am looking for a dare to be great situation. 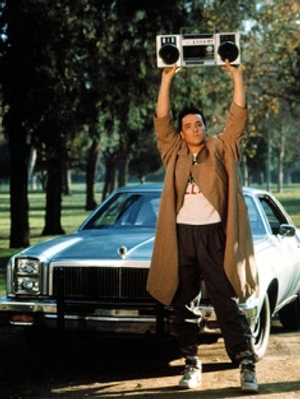 These are the words from the immortal everyday hero, Lloyd Dobler in the movie Say Anything (1989). It was the first movie I saw that was written and directed by Cameron Crowe. Crowe gave us other amazing lines in his movies like “You complete me”, “I gave her my heart, she gave me a pen”, and “I’m never as good as when you’re there.” I always liked Lloyd because he was the everyman, someone I could relate to on film. His words, especially this line always sticks with me and I kind of wear it around my shoulder. We all want to be the “idea” of Lloyd and act out our mission in life. There are situations when we want our actions to be great but let’s admit it, we’re afraid. That’s okay because if you aren’t afraid, it won’t be as great. We want our actions to be honorable. We want them to be dangerous (in a good way). We want our actions to matter and be memorable. It doesn’t matter if it is January or the end of a long year. When you see that opportunity like Lloyd, act. If it is a girl you’ve always been intimated by, go for it. If it is that idea you’re afraid to introduce at work, go for it. Look around you because your friends and family are cheering for you. I love tackling a challenge that seems insurmountable at the time but after you get through it, you look back and say, “Wow, that just happened.” We want our stories to live beyond us. 30 years from now you will remember these feats, I promise you. What is your dare to be great situation you are facing? What are your waiting for? I recently went to a local playground with my young girls. I walked around casually following them as they explored the array of colorful pipes and swings. When I saw my oldest daughter struggling and I offered to help, she shouted “I can do it all by myself.” Meanwhile, she kept calling on me to help so I was oddly confused. I’m definitely not God but I wonder often if this is how he feels when we do the same thing. Nevertheless, it got me thinking about how we as humans view the adventure and struggle of life. I recently re-watched two amazing survival movies, 127 Hours (2010) and Into the Wild (2007). I’ve always been curious by books and movies like these along with Call of the Wild, Alive, and Unbroken. Perhaps my quest of manhood is revealed through their stories. What amazed me most about these stories is that they are based on real events while not entirely dreamed up by Hollywood. 127 Hours features Aron Ralston a 20-something adventurist out west. He became widely known in May 2003 when, while canyoneering in Utah, he was forced by an accident to amputate his right arm with a dull knife in order to free himself from a boulder. James Franco did a terrific job playing Aron and the movie was anchored by director Danny Boyle with dream-like cinematography. It is a difficult movie to watch due to the amputation scene but like many I’ve spoken to about it, it still captivates you. Into the Wild features Chris McCandless played by Emile Hirsch, a recent college grad who packs up his car, leaves his family and heads west to the Alaskan wilderness with little food and equipment, hoping to live in solitude. In only a few months he died of starvation. While a disturbing movie, it is beautifully helmed by Sean Penn and the soundtrack by Eddie Vedder is inspiring. I catch myself on weekends driving around town and opening up the windows to listen to Big Hard Sun. The question after watching these two films is “Why” go on these adventures alone? Like these two characters, I love being out on my own whether it be hiking, traveling, or playing golf. I haven’t been able to do that in a long time but I know the power it can have in restoring my soul, spending time with God, enjoying time to reflect. I am reminded by a powerful line from John Eldredge’s Wild at Heart, which stirs me. It is good to go on that journey. Here is the problem: Man is misguided by the world. The world says that he should be an island. The world says…Go it alone. Rely on yourself. Don’t admit weakness. In 127 Hours, Aron becomes stuck and recognizes that he must go to extreme measures to return to the people he loves. He fights to get back to them. In Into the Wild, Chris feels like regular society has left him so he must leave it. People should not be part of this equation, only nature. In the end of the story as he literally is lying on his deathbed, Chris reflects on the people he loved and who loved him. That is what mattered most in the end. There is a reason that men ultimately love movies like The Fellowship of the Ring and Band of Brothers because the adventure is about being together. It is the similar with women and movies they love focusing on deep and enduring friendships. It is important to go on that “safari of the heart”. But that safari is meaningless without sharing the spirit of it with people and God that inspires it. Lately I’ve been thinking about one of the finest and most amusing movies to come out of the 1980’s. I wish I could give the director John Hughes a big hug for the movies he wrote and directed during that period But the one that always makes me smile the most is Ferris Bueller’s Day Off. Who else growing up didn’t want to be Ferris Bueller? He has great friends with cool names like Cameron and Sloane. He gets the girl. He wears a classic beret driving a vintage 1961 Ferrari 250 GT California. He knows the city of Chicago inside and out. I’m from St. Louis and would even consider naming my son “Ferris”, one of the finest Chicago names of course. He is pure awesome. Here is what we all can learn from Ferris. 2. Avoid the Dean Rooneys: Dean Rooney represents the crazy person in your life who thinks they know everything about anything and feels the need to go out of their way to tell you that you aren’t doing something right. He is the Pharisee judging us and preventing us from living life to its fullest. They may do this in good intention but a pure legalist gives you no room for joy. Oh and also don’t let a French cuisine Matre D’ stop you from having a good time either. 3. Appreciate the finer things: Yes, even a 17-year-old Ferris with his friends visited an art museum and ate at a nice French restaurant. Unfortunately, we are in a media culture full of so many “entertainment” distractions. Slow down your pace and read some classic literature and visit that free museum. Next time you just want to eat a burger and fries, go wild and try some new international cuisine. None of these things have to be expensive either so be creative. 4. Drive a Ferrari with great friends: Ferris would never go on an adventure alone. Many people unfortunately view themselves as an “island” especially men. Not Ferris. He saw life as an adventure to be shared. Plus, think of how you can help the “Camerons” in your life get out of their shell. 5. Join a parade. In Donald Miller’s book A Million Miles in a Thousand Years, he describes how his friend Bob Goff would arrange for flash parades on his street. How cool is that? Why not join one? You can sing Twist & Shout, Danke Schoen, or whatever else floats your boat. Just get out there and be a little crazy. Bonus: If you can help some kid get out of summer school, he or she will be eternally grateful and you’ll never be without friends. Last but not least, our friend Charlie Sheen delivers his most #winning performance of his career in the movie. Don’t miss it. I could go on and on with the lessons I’m learning from Ferris even as an adult but I’ll leave you with his wisdom. What do you love and learn most about Ferris? of being part of a feat that few have accomplished. Have you ever met someone who ran a marathon a day for 2 months straight? Well I shall tell you about the great Neil Garrod. First, a short history lesson. In 1451, King James II of Scotland persuaded Pope Nicholas V to grant a bull authorizing Bishop Turnbull of Glasgow to start a university. That act initiated what became Glasgow University. Flash forward 550 years to 2001. It was a goal of mine to graduate early from college so I could live and work abroad. Scotland was a love of mine since visiting a few years earlier and I began preparing for what I could do there. The possibilities were endless. I secured a 6 month work visa, packed my bags and moved to Scotland on New Years Day. I found a job doing finance research for Professor Neil Garrod who was dean of Glasgow’s faculty of law and financial studies. Soon after working for him he made me an offer I couldn’t refuse. Neil was a serious marathon runner and wanted to find a unique way to celebrate the 550th Anniversary of the university. He would run the possible path of where the bull would travel from Rome to Glasgow. It sounded exciting to me so I embarked on this journey with the British version of Forrest Gump. I was in charge of driving the camper van so I flew to Belgium to pick it up. It would take three days to drive down to Rome where the race began at St. Peter’s Square. I drove through Belgium and made a quick stop to visit Bastogne. Next, I drove to Dijon, France and then another leg across the Alps passing Mont Blanc and to Genoa, Italy, which rests on the Mediterranean Sea. It got interesting when the camper van was broken into while I was away eating dinner. My passport and a credit card were stolen but thank God they didn’t take my Credence tapes (Big Lebowski fans out there?). I had to quickly repair the driver’s side window with plexiglass and limped my way down to Sienna where I would meet up with Neil Garrod and his family. I was exhausted from that experience so it felt like the ultimate retreat in Sienna. There we would eat amazing Italian food, drink the best wine and enjoy conversation with people from all around the world. I think Neil thought I handled the whole robbery situation with calm but the truth is I was freaking out in my head the entire drive from Genoa to Sienna. On the day the run began in Rome I was able to receive a new passport from the American Embassy and was on my way. The first few days were spent trying to escape the population centers and get to open road. The most memorable days were running through Florence/Firenze and then through wine country (Chianti) when Neil ran about 50 km (over 30 miles) in one day. We went through amazing towns like Sienna, Castellina in Chianti, Donato, Bologna, Firenze, and Aosta. Somewhere along these roads I cracked the van’s rear bumper and broke yet another window running into the side of an extended gas station roof. It’s amazing I still am given insurance to this day. The daily routine would be to wake up at 6am, eat a big breakfast and Neil would run 5-7 miles. We would stop, eat, and I would ice Neil’s knees. Following that, Neil would do a couple of afternoon runs. Every night we would finish it off with a bottle of wine and eat some of the most tasty pasta one would ever dream of. The routine was difficult but incredibly rewarding. Observing Neil and his discipline for running only motivated me to run with him. So I joined him most days and built up stamina to go 5-6 miles. When we reached Aosta near the French border, I left the team and went back to America for my friend Heath’s wedding. I handed off the baton to another young student who helped Neil finish the race to Glasgow. It was sad to leave but Neil always made me feel part of the team. I heard later that the day after Neil finished the 1500 mile run, he flew down to South Africa and ran a 100 mile, 2 days race. To this day I’m convinced that he is not human. I could write for days about the experience. Neil kept an extensive diary during this trip and you can read it all here. During the Mega-run I grew up a bit. I made the effort to embrace adventure, took some risks, and understood how to lean on God when I was lost. What changed me most of all was learning to embrace “spontaneous experiences” that God puts in front of me. I had the choice to stay in Scotland but the Mega-run was definitely one of those experiences to seize. Before moving to Scotland I wrote my bucket list and running a marathon was a priority item to attain. The year after the run, thanks to the inspiration of Neil Garrod, I finished my first marathon in Chicago. Be spontaneous my friends. Chose your own adventure. Ultimately it is God’s adventure in you. What is your "motive" in life?